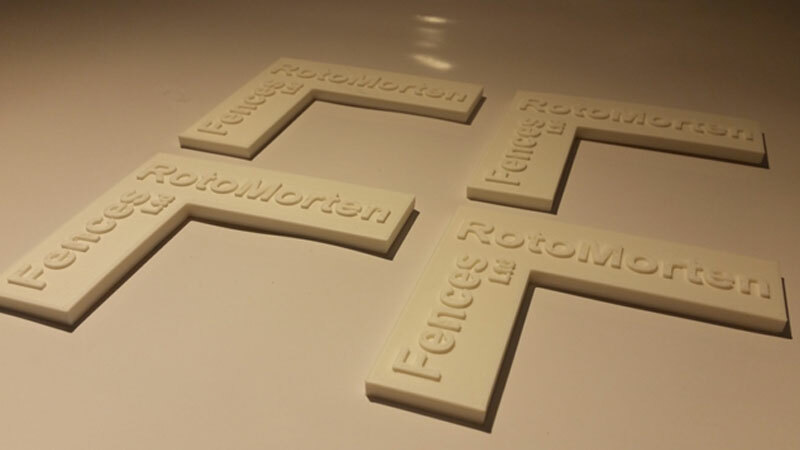 3d printing in ABS, PET and PLA for concept and proof of principle models. Rapid prototypes, assembly jigs and fixtures and low volume production parts. A great way to value engineer your existing low volume production products where injection moulding is not feasible due to tooling costs. 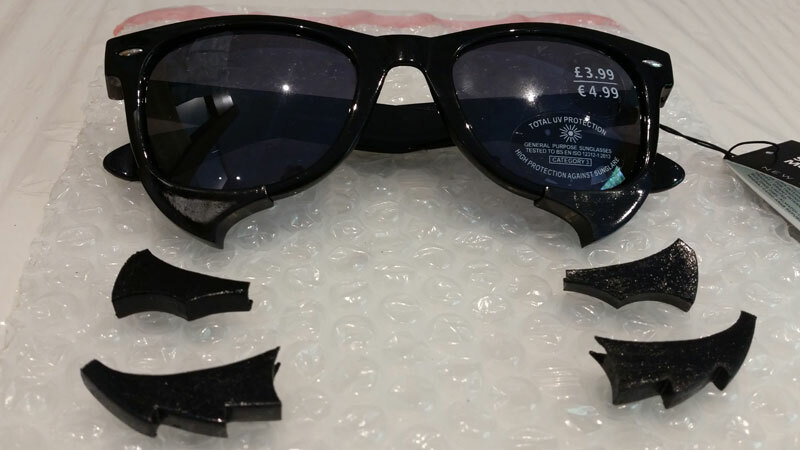 Eliminate multiple components by replacing with a single 3d printed part. 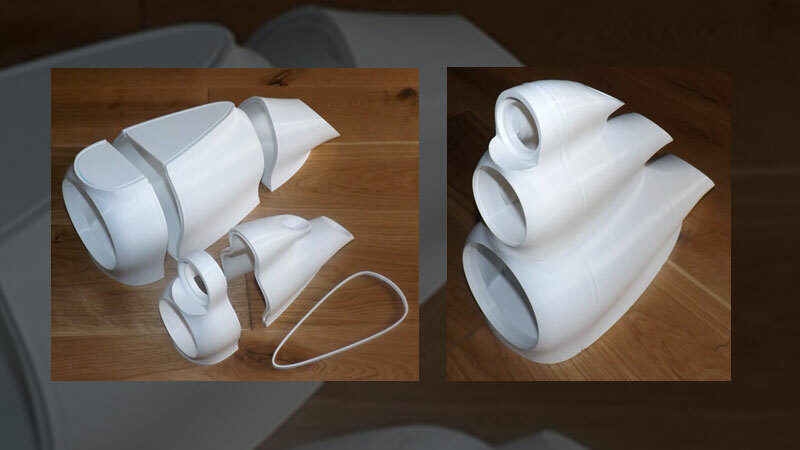 Large parts produced by splitting into smaller logical sections, printing and solvent welding together with near invisible seams utilising orientation and alignment details. 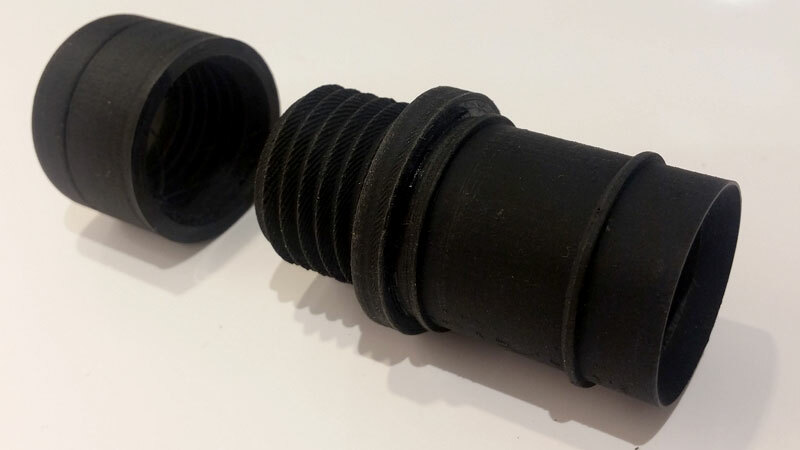 This technique is also good for reducing the amount of support geometry required to print the part thus reducing part costs. 1 off parts are not a problem. These theatrical props were developed in 3d from sketches supplied, 3d printed and finished in house. 3d printed Low volume production parts. Pre-production part runs for testing and validation prior to tooling acquisition. 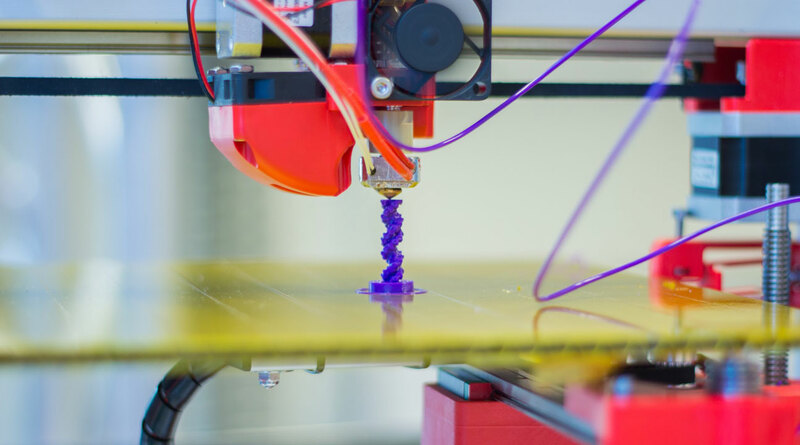 Our 3d printing service is ideal for producing assembly jigs and fixtures. 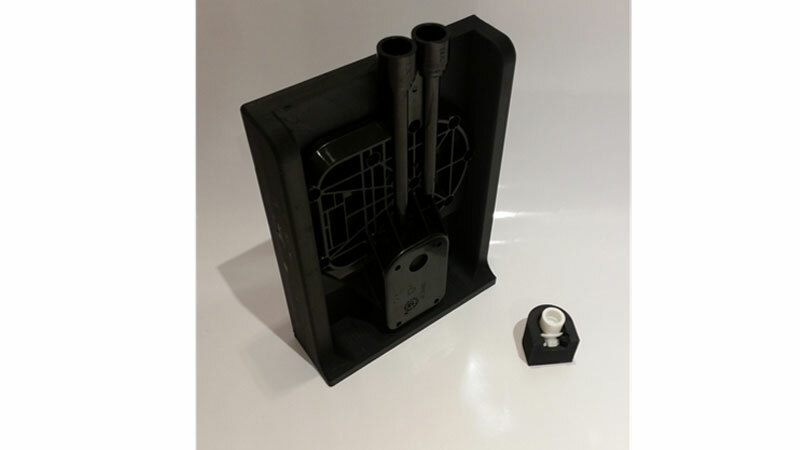 Using 3d models of the parts to be assembled, fixtures can be designed to nest with these parts so they can presented in a controlled way for down the line assembly processes. 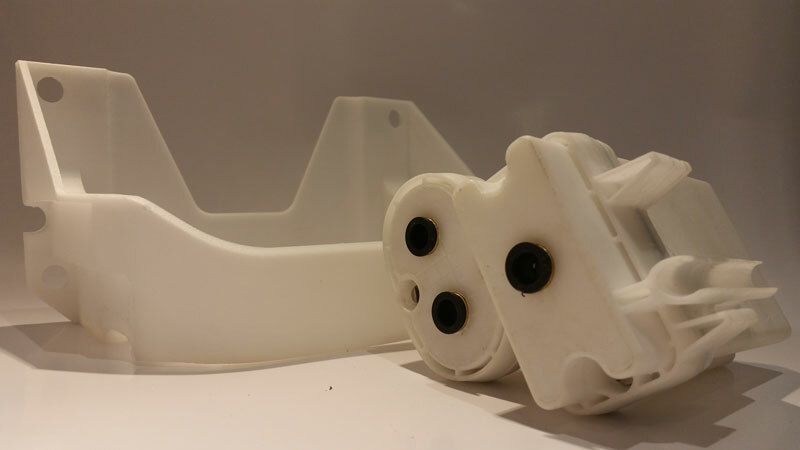 Some parts cannot be injection moulded due to a low volume requirement or complex part geometry. 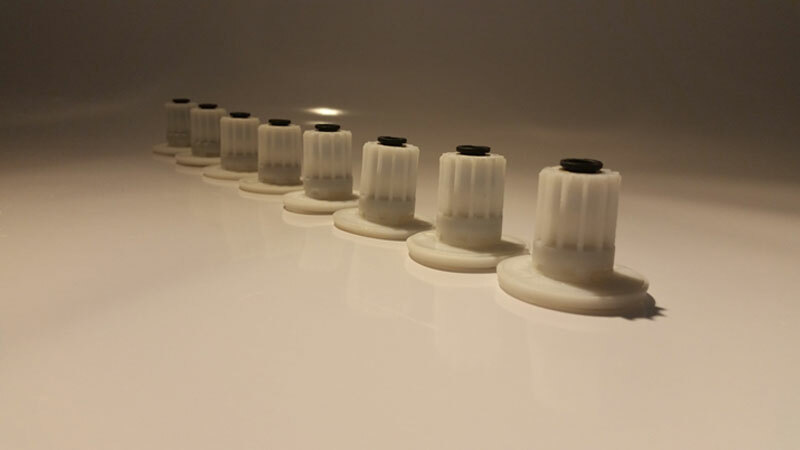 We produced a 3d printed low volume batch of cable glands in ABS material incorporating a functional thread detail. 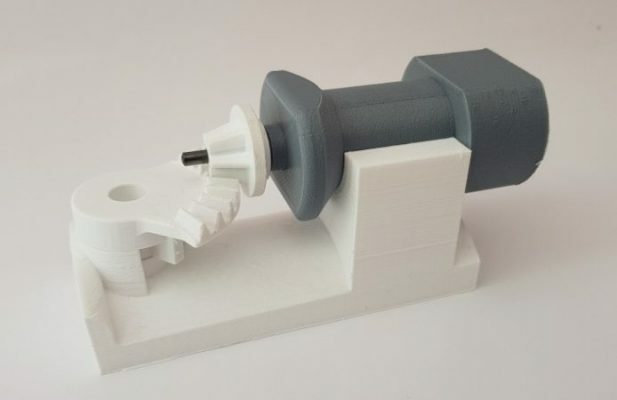 During the design of an anti-backlash gear drive mechanism, The design was scaled up and a proof of principle model produced to validate the design concept.